Plans to restore Peckham Lido include a 50m pool and an open-air cinema. A new community-driven campaign to breathe new life into Peckham Lido has been given a £10,000 boost by Southwark Council. 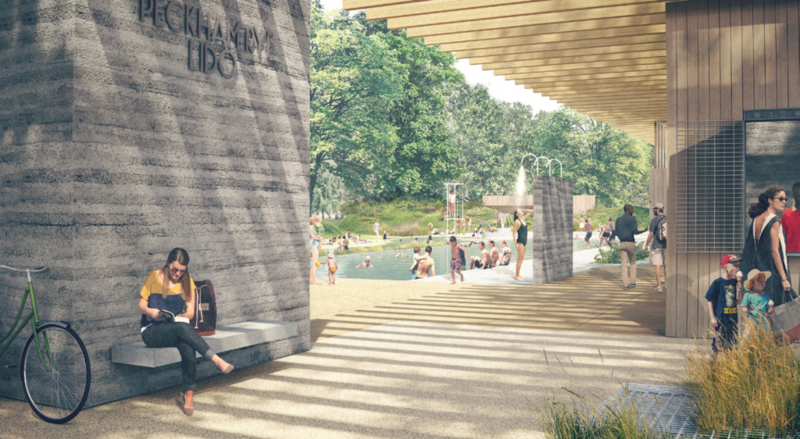 The Peckham Lido, to the north of Peckham Rye, fell into disrepair in the 1980s and was largely demolished, but the new campaign has captured the community’s imagination with plans to build a 50m swimming pool, open air cinema, restaurant and gym. The Peckham Lido Spacehive appeal has already raised £47,000 and the Southwark Council contribution will take it £57,000 of the £64,180 needed to carry out a feasibility study. The Mayor of London has also contributed £7,500 to the project. Should the plans proceed, they will require the support of local people, and full planning permission, taking into account any impacts on nature conservation, requirements to provide for outdoor sport and leisure. The link to the crowd funding page is www.spacehive.com/peckham-lido.